comes out and watches the kids for Santa to see if they are being naughty or nice. The story itself, comes with a little elf that is supposed to hide around the house watching the kids. This is where it gets creative. 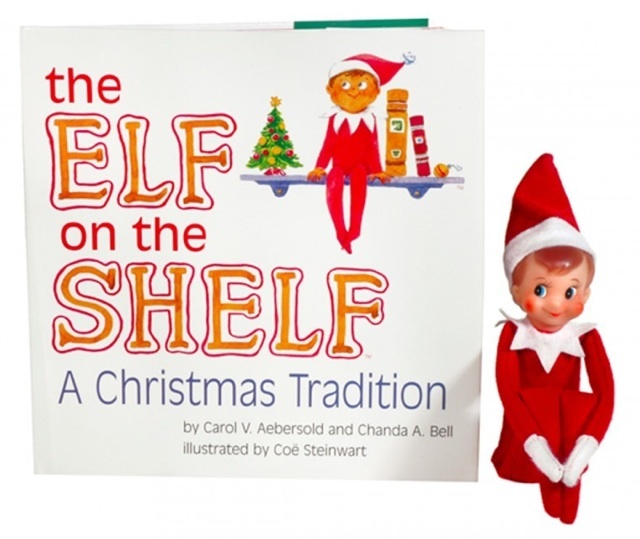 Parents enjoy hiding the elf around different areas of the house as a little treat for the kids. Each morning, the elf may be up to something different. Perhaps hanging from a ceiling light, or in the Christmas tree. Maybe its in a closet peeking out, or hanging out with the childs other toys. Depending on when the Elf makes an appearance in December, there may be a number of days that the elf has to find places to hide, and it can get hard finding new places to hide it. Thank you Social Media, has a quick Google search will help you find lots of ideas on where the elf can sneek away. Pinterest is also a great place to look, especially for pictures of the elf in different locations. Some are creative, others are the elf up to no good! You can pick your favourite search engines, or go right to Pinterest and enter “Elf on the Shelf ideas” and BINGO! a plethora of new and interesting ways for the elf to find a home that night. Also, consider setting a reminder on your smartphone to have the elf find a new place every night. You wouldn’t want the elf to forget to go somewhere new and make the kiddies wonder what happened!